No, I don’t think Jesus roots for any particular fighter. He doesn’t root for a specific football, baseball, or rugby team. I don’t think God cares about human sporting events. No in the big picture, anyway. But MMA is a different kind of sport. It’s all about submission. It’s about getting your opponent to willingly surrender and give up the fight in acknowledgment that you are superior. It’s a perfect example of the way we are supposed to respond to God. You see, there is a battle going on – conflict within our own hearts. My heart wants things that are not good for it. My heart wants things that seem pleasant but ultimately lead to destruction and decay. My heart wants cupcakes, brownies, cookies, and Twinkies. But that stuff will end up damaging my heart. On a more serious level, my heart has desires and cravings that are driven by selfishness, greed, and other less-than-noble motivations. There is an internal war within us all. Our own hearts fight between our way and God’s way. The Bible says that the solution is simple: we have to decide who we want to be friends with. We can choose friendship with the things of this world and follow our hearts or we can choose friendship with God and follow His heart. It comes down to this: resist the Devil but submit to God. That’s fight language! We continue to struggle and fight against the evil that pulls us down the wrong road but we submit to God. 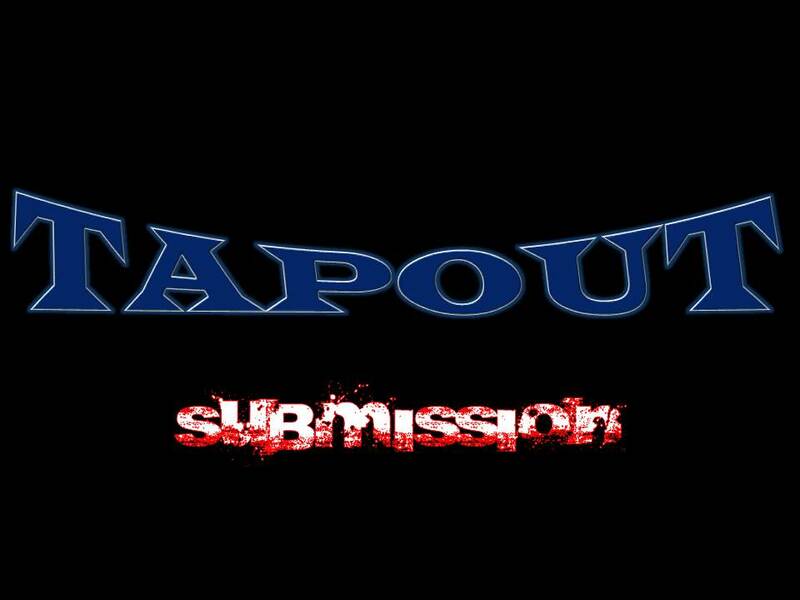 If you’ve ever watched an MMA fight you’ve seen submission in action. So I invited a fighter I know to put me in some choke holds. I got together with him a few days before the service and he talked me through what he was going to do. 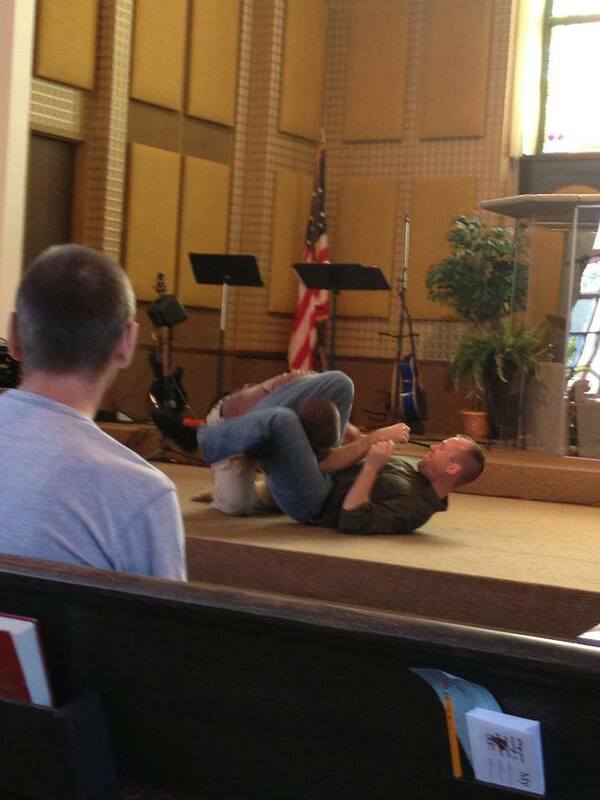 Except when the time came in the service to do our demonstration he wasn’t as gentle as he was during our walk-through. I don’t know what happened – maybe his fighter instinct took over. But when he put that first choke-hold on me he lifted me off my knees. Let’s just say that I tapped out PRETTY QUICKLY! The fight language is pretty appropriate spiritually. We often fight against God. We know what he wants and what he desires. We know the kind of people we ought to be and kind of lives we should live. But we struggle. We fight. We don’t want to submit. And that’s wrong. The Bible calls us to draw near to God. 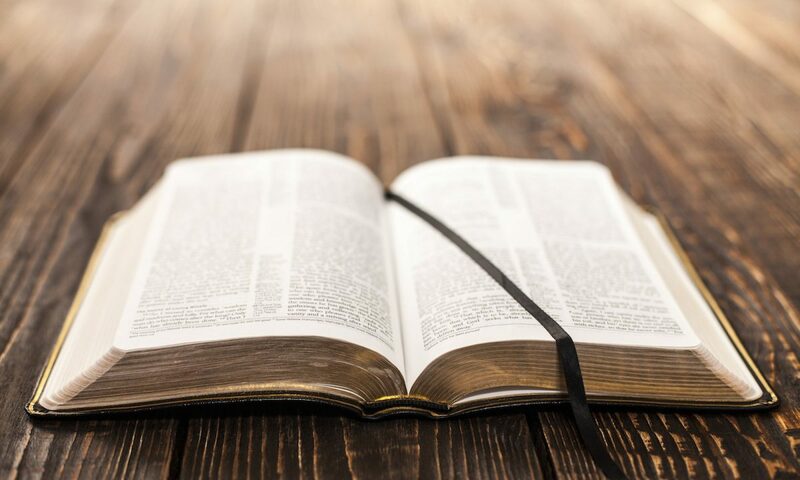 The Bible calls us to submit – to surrender in the fight and recognize that he is superior to us. I know what you’re thinking – you’re thinking, “I’m a Christian, I’ve already submitted to God.” But I bet if you were honest with yourself you’d find a couple areas where you’re holding on to the fight. Most of us have some things that we really don’t want to submit to God, no matter how long we’ve been a believer. But can you imagine Christianity if we would all submit in every way to God? Our hearts are deceptive. They pull us in the wrong direction. But we can end the fight. We can tap out to God and admit that we are not his equal. Choose God’s way over our own way. How about you? What have you submitted to God? What do you still need to submit? Are you willing to tap out? Next time you might want to factor in the adrenalin dump you get when you perform in front of a live audience! Great demonstration.